If your child is struggling in school and you are not sure why, a learning disability may be thause. Sometimes known as invisible disabilities, learning disabilities, affect how a person’s brain works – how it processes information in areas like reading, writing and math. Finding out there is a reason for their difficulties in school comes as a relief for most children. While they may know they are having trouble learning, they may not know why they struggle or that other children also may have difficulties too. Talking with your child about their learning challenges can help build their confidence and teach them how to advocate for themselves in school and in life. Begin gradually, talking about different ways people learn and then talk about their specific challenges. Informal settings at unplanned times like a ride in the car or sharing a snack can be great times to casually check in and keep the conversation comfortable. 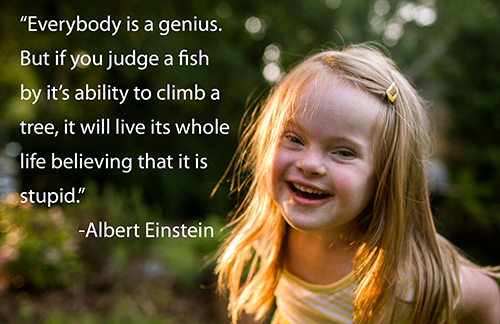 Always remind them of things they do well and that their disability is only one part of who they are. Your child should know both their strengths and needs. Learning how to talk about a learning disability is the first step to being able to advocate for themselves now and in the future. You can help your child learn how to ask for help by reminding yourself to listen. Let them think of what might work and make decisions. If they struggle coming up with ideas, offer a couple of suggestions and ask them to choose which sounds like it would work best for them. Parent Network has many resources to help you support your child with a learning disability. Check out our website at http://parentnetworkwny.org/resource-library/learning-disabilities for fact sheets and a short video. We also have a 30 minute online video filled with information and tips for success for you to view when and where it is most convenient. Learning Disabilities: Celebrating the Whole Child… a workshop for parents on meeting the emotional needs of their children with learning disabilities. The information is broken into sections so you can watch over a few days or re-watch certain sections. You simply create a user name and password at http://parentnetworkwny.org/online-workshops. Parent Network is your go to place for information about special education and disabilities. We are here to support, educate, connect and empower families, professionals and youth with disabilities. Transition– Individualized Education Programs include a section on transition planning, which helps teens figure out what they want to do after high school and what they need to learn while in school to reach their goals. Learning how to speak up for themselves and ask for what they need to be successful can be included. Behavior – Whenever you can, tell your child what you want your child TO DO not what they should STOP doing. Instead of… stop screaming, try shhh whisper… don’t run – use your walking feet, or stop picking at your food – put a bite in your mouth. Developmental Disabilities – Help your child avoid becoming overwhelmed. When learning how to do new things independently, break tasks into small steps, working on them one at a time. Autism – Write a brief description about your child and share with anyone who works with your child. Include basic information about how they communicate and challenging behaviors. Be sure to include things to avoid and strategies that you use that works. Advocacy – Download Parent Network’s factsheets on learning disabilities and share them with your child so they understand their disability and have the words needed to speak up for what they need. Special Education – Talk to your child’s teacher to discuss ways to make sure your child’s learning challenges do not get in the way of showing what they know. Adjustments to how information is presented or shared are called accommodations and can be written into Individualized Education Programs (IEPs). They could be a simple change in location or time given for a test. Ask what you can do at home to make learning easier.